Our go-to cargo trousers just got even tougher. Made from durable cord with Warrior Knees, they can handle any adventure. 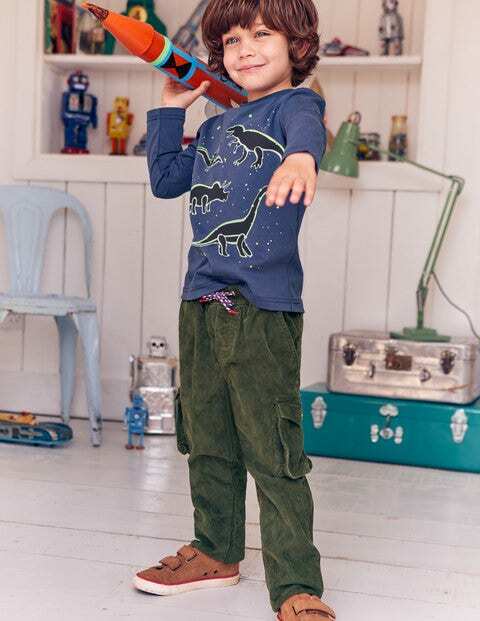 The six (yes, six) super-spacious pockets have plenty of room for snacks and toys, while the elasticated waistband is easy to pull on and ties with a sporty drawcord. Less time getting dressed = more time for exploring.